Candles are an important part of the Greek Easter service that takes place on Holy Saturday. Just before midnight, the church gets quiet and all the lights are turned off. Suddenly, the parish explodes in candlelight, and the people sing the traditional song, Christos Anesti, or, “Christ has risen.” The candles are lit at the precise moment when Jesus rose from the dead. 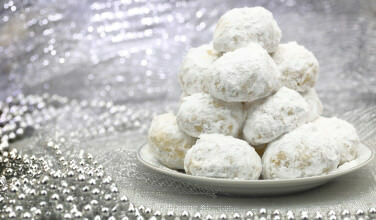 Greek Easter candles can be decorated any way you want! Young children enjoy having candles decorating with their favorite toys. Older children love holding candles with their favorite colors. 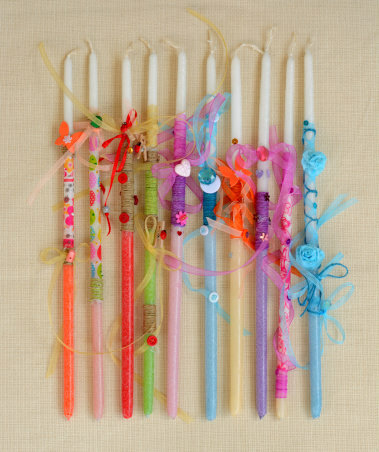 Holding decorated candles is a great way to keep kids engaged with the church service. It’s not just children who enjoy these personalized Easter candles – adults like them too! It’s all about finding ways to express yourself and make the church service a little more interesting. In order to make sure you really get the candle that you want, you can try making it yourself! You can wind the candle with brightly colored ribbons, add sparkles and jewels, and even attach jewelry or some small toys to the candle! If you want to decorate the whole thing, just make sure that you leave enough room at the top for it to burn for a long time at the church service. Otherwise, you’ll need to keep watching it to make sure that your decorations don’t start burning. No matter how your candle is decorated, you need to make sure it has a long burning time. This is especially important if you decide to decorate the candle yourself. Typically, the candle stays lit for the entire church service, which could last a few hours after the candles are lit, depending on the church. After that, it is the tradition to take the candles home while they are still lit and say a few prayers. In fact, many families take the candles home to say a few prayers, and then keep them lit until they burn out naturally. In some families, it is a tradition for the Godparents to buy their Godchildren a decorated Easter candle. If this is the case, they may ask you what kind of decorations will be best. If you know that the Godparents aren’t going to give their Godchildren a decorated candle, other family members can give it to them, instead, This is considered a nice gesture but it isn’t necessarily a set tradition that all Godparents need to adhere to. 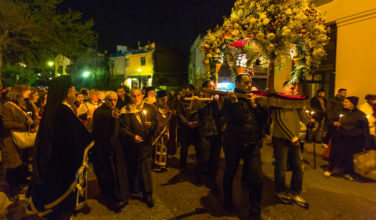 Bringing decorated Lambatha Candles to church on Holy Saturday is a custom that a lot of Greeks throughout the world follow. It’s important to find the right decorations for your personality! 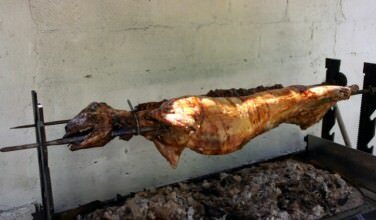 Why Do Greeks Roast Lamb at Easter? 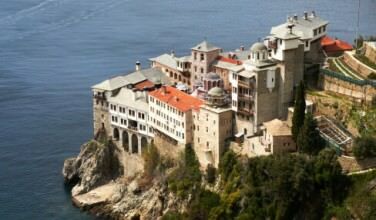 Why Do Greeks Have An Outside Procession During the Good Friday Service?